This is the place to share your learning activity/schooling blogs. Leave a comment with a link to your blog. You can also leave a short summary of what your blog is all about if desired. I will move your link and info up into the main body of this post. A blog full of various ideas of activities to do with children from baby on through school-aged children. I am just starting a learning blog for my twins, showing all the activities we do and soon we will be starting “tot school.” It only has a few posts so far but I still wanted to share the link here! My original goal in starting this blog was to organize past, present, and future activities in hopes to allow for easier planning. Fun and Engaging Toddler Activities is probably not the best name since it covers activities from babyhood to his current 2.5 yrs. I include homemade toys, games, crafts, cooking, outdoor, Bible activities…. I’ve just started blogging these ideas but I blog about the activities done in the classroom in relation to literacy. So, fun activites that go along with books. I’m working on my elementary education degree so I get a lot of neat ideas from other teachers, my professors, and the community. They’re all developmentally appropriate and meet state guidelines as well. I blog over at www.dirtandboogers.com. It’s all about learning through play and life with a toddler. 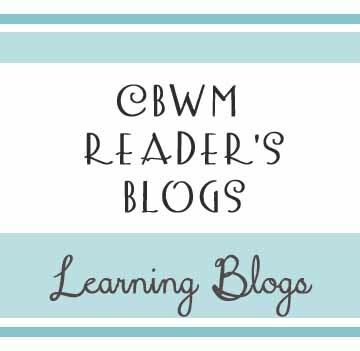 I will have to check out all these learning blogs! Mine is Afterschool Homeschool at http://schooloutofschool.blogspot.com with learning activities for a variety of ages.